We have joked that “I Come for the Treats” is our next Embody tank saying (with “Gluten/Dairy/Refined Sugar-Free” in small print on the back)! If you have been to one of my fitness classes before, you know the true highlight (forget all that muscle building, stress releasing, sweat producing, strength inducing nonsense) is the healthy treat sample given at the end! Why do I do this? Bribery. Plain and simple. No, I am kidding! (Well, kind of, you ask women to do single arm burpees and they may never return!) Our philosophy at the studio is about lifestyle. Supporting you in a lifestyle of health and wellness. That translates well beyond our facility doors and the one hour we are blessed to spend with you a day. We want to share tools and resources that you can utilize in your everyday world to support your health and wellness. Nutrition playing such a pivotal and often challenging role. So to share a treat that is nutrient-dense, contains targeted whole food ingredients and is easy to make is a way to illustrate that you can nourish AND satisfy your cravings at the same time. Then once a month, I put together a newsletter that contains all the recipes from the samples shared. Empowering clients to make their own treats at home! A simple, nutrient dense way to satisfy the sweet and salty persuasions! Place the first five ingredients in a food processor and process until the mixture is evenly ground up and sticks together nicely. Press the dough into a parchment-lined 8 by 8 inch pan. 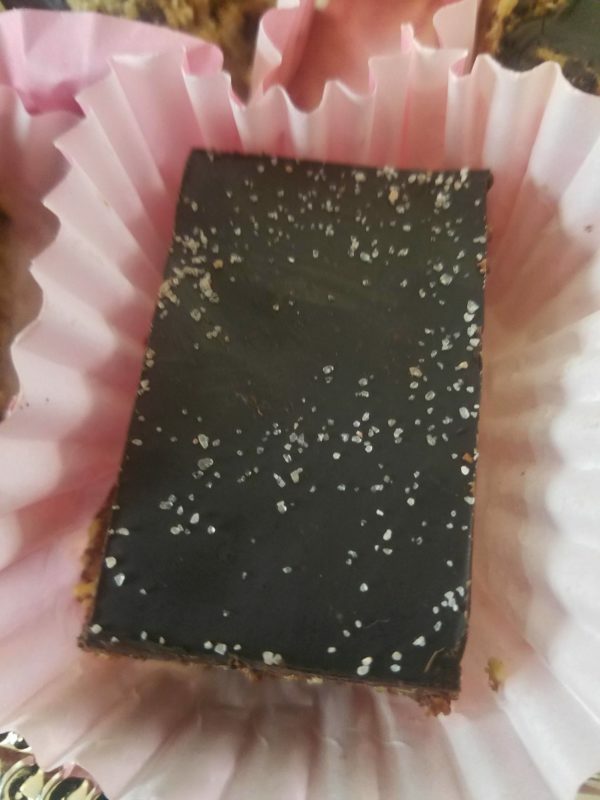 Melt the dark chocolate and coconut oil in the microwave for 60 seconds at 50% power. Stir and continue for 20 second intervals until liquid. Pour over bars and refrigerate. Top with sea salt. 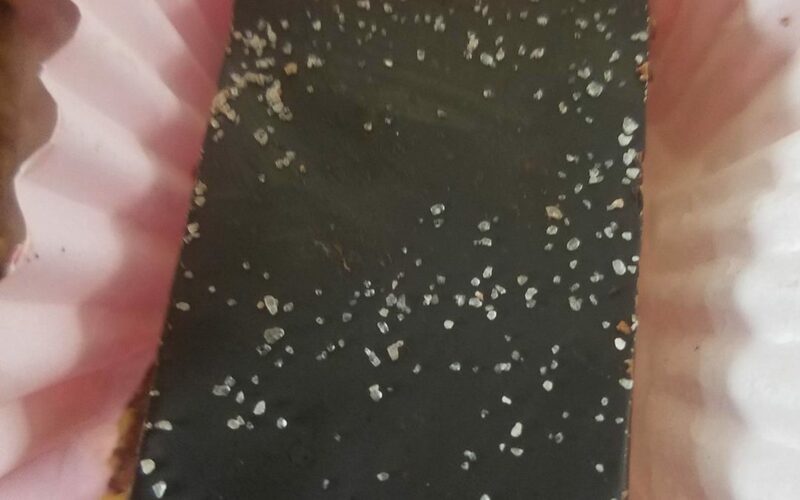 Cut into bars after freezing for 10 minutes. You could also make your own chocolate topping by combining 1/4 cup coconut oil, 1/3 cup raw cacao powder and 1/4 cup raw honey and maple syrup. Melt together and spread over the bars!